“This isn’t Bob Dylan,” said my son in the car on his way to swimming class. “Well,” I countered, “he’s playing the harmonica.” We were listening to “Silver Dagger”, the lone Baez solo song on Bootleg Series 6: Live from the Philharmonic Hall. Sebastian is interested in the Dylan project even when he is flummoxed by it. Later on the same trip he complained that we’d already heard one of the songs and I told him that this was a live version. “It all sounds the same. Same same same” he said. “Then why did you complain about “Silver Dagger”?,” I asked. He’s right, of course, a lot of it does sound the same. But a lot of it does sound different. Listening to the live performances is all about the tyranny of little differences. Some of the material plays well on repeat, others not so much. On Bootleg Series 6 Baez and Dylan absolutely massacre “Mama, You Been On My Mind”. They are out of sync. They can’t agree on the lyrics. You can hear Dylan telling them to her mid-song. It’s a debacle, but a charming debacle. The audience finds it cute in its spontaneous genuineness. So did I the first time. Third time through I can’t listen any longer. Charming quickly becomes cloying and I thumb to the next track. Good show generally. Nice to capture Baez and Dylan together on the downswing of their time together in the fall of 1964 (the rupture would come six months later in England). “Same same same,” says Sebastian. I can’t find any footage of the Philharmonic Hall show, so here’s Baez’s version of “Silver Dagger”, the first track on her first album. 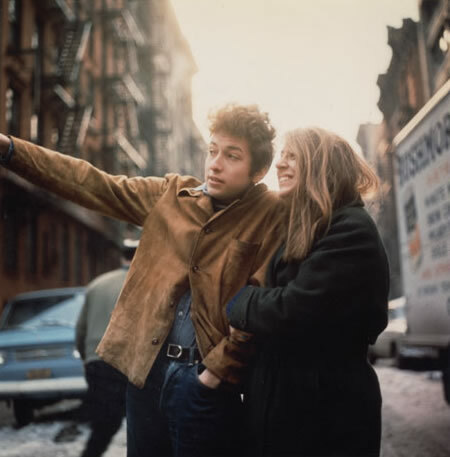 The last great song on Freewheelin’ Bob Dylan is “Don’t Think Twice, It’s Alright”. The first track on the second side, it could almost actually be the best thing on the whole album (it’s not, but it’s close), which is saying quite a lot. Dylan will go on to write a whole raft of break-up songs, but this is the template for all the rest of them. These are the cool lyrics, with an undercurrent of hurt, and with the false veneer that says ‘nothing really bothers me’. This is the kind of song that most people wish they could sing when they getting dumped, but few of them actually can. In the summer of 1963 Dylan was seeing both Joan Baez and Suze Rotolo (his longtime on-again off-again girlfriend who is hugging his arm on the cover of Freewheelin’). Baez performed this song during her set at the Newport Folk Festival, and introduced it, with Rotolo in the audience, thusly: “Here’s another Bobby song. This is a song about a love affair that has lasted too long”. Rotolo, of course, walked out. Some day someone is going to make the great Bob Dylan romance film, and it’s going to be all about the summer of 1963. I have to say, my mental of image of Baez is so gauzy and clouded with her semi-saintliness that I just can’t imagine her being cruel to someone. I probably need to snap out of that. I should note that I haven’t written about Dylan’s break-out performance at Newport this week because I haven’t been able to watch The Other Side of the Mirror, the documentary about his three Newport performances. I ordered a copy from Amazon, and it looks now like it will arrive next week. I may wait and just review all three years of Newport shows at once in two weeks time. There’s a lot of material on YouTube, of course, but it seems preferable to just watch the film. Back to the topic at hand: “Don’t Think Twice” is a major accomplishment for the young Dylan, an inspired and hauntingly emotional song that helps establish his range. The rest of the album is fine, but not particularly memorable in the grand scheme of things. Bob Dylan’s role in the March on Washington (August 28, 1963) was a minor one, though it profoundly shaped the way that he was understood as a singer-songwriter, and as “the voice of a generation”. Without Dylan, the March would still be remembered as one of the key moments in American postwar history for King’s “I Have a Dream” speech and for the enormity of the crowd and the righteousness of their cause. Without the March, Dylan’s image would have been significantly different. Interestingly, however, Dylan only rarely played such politicized events after this one – it does not seem to be something that suited him. The best that I can tell, the folk song portion of the event was the fourteenth thing on the schedule (King was sixteenth, so Dylan’s performance was near the end of the day). 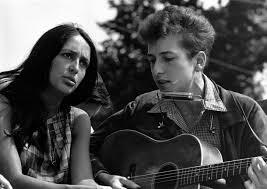 Mahalia Jackson and Marian Anderson both sang, and then Joan Baez, with whom Dylan had been touring during the summer, sang “We Shall Overcome” and “Oh Freedom”. The two of them sang “When the Ship Comes In” and Dylan did “Only a Pawn in Their Game”, which was an interesting choice insofar as the lyrics suggest that Byron de la Beckwith was not the main reason for the death of Medgar Evers. 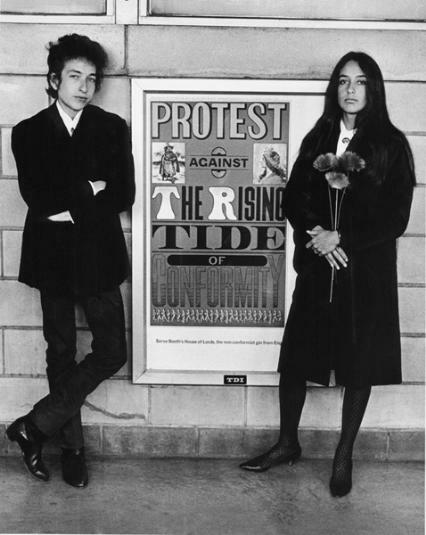 Dylan’s suggestion of a larger social cause – something that he stumbled while explaining to Studs Terkel in their interview – is an awkward fit for the event. Peter, Paul and Mary also played at the event (“If I Had a Hammer” and Dylan’s “Blowin’ in the Wind”), as well as Odetta. The whole folk section of the day’s event ended with Len Chandler leading “Keep Your Eyes on the Prize”, the song that was borrowed as the title for a remarkable PBS documentary about the civil rights movement. Dylan’s place in the history of the event was a minor one, but it helped cement the relationship between the new folk scene and the civil rights movement. For some fans it helped lay the foundation for the sense of betrayal that they would feel as his music began to change by the middle of the next year. Three verses made bob Dylan a superstar. 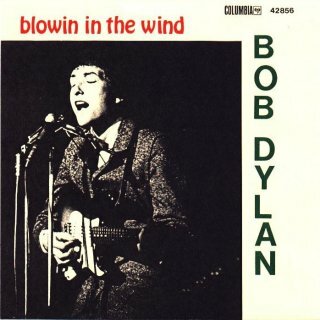 Written in 1962, Blowin’ in the Wind initially had only two verses. The third (“How many years can a mountain exist…”) was inserted into the middle of the other two. It’s the key verse, the one that ties it to the civil rights movement and the one that helped make Dylan the ‘voice of a generation’. Only a semi-protest song (the questioning rhetorical strategy broadens the appeal by expanding its focus to be too all-inclusive to be properly termed ‘protest’), it is a genuine anthem of the decade that produced it, and it was transformative. Some sources indicate that Pete Seeger was the first to perform it live, learning the words and lyrics from Dylan backstage in a New York club before showcasing it for the crowd. It was first recorded by The Chad Mitchell Trio but their record company balked at releasing it. When it was snapped up by Peter, Paul and Mary it became a smash hit, selling three hundred thousand copies in its first week of release. Voice of a generation, indeed. According to my iTunes playlist, I have fifty-one different versions of this song on my phone (many are live versions by Dylan, who has performed it live in concert – according to his website – an astounding 1,190 times). I have to say, it’s not a favorite of mine. It’s groundbreaking, yes, even era-defining, but also a little too dull for me. It’s one of his least variable songs as it only works well in a limited set of tempos and arrangements. 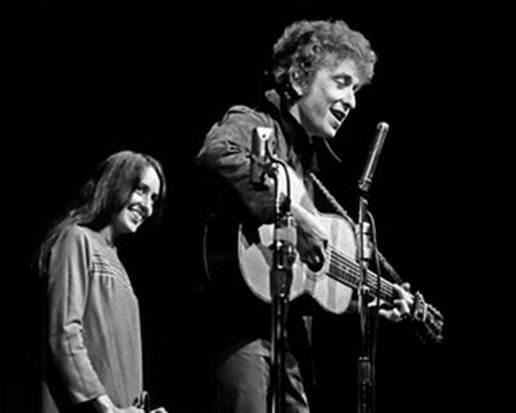 I’ve always liked Joan Baez’s versions – it suits her well. According to Robert Shelton, Blowin’ was a key part of Albert Grossman’s strategy to build the Dylan brand. 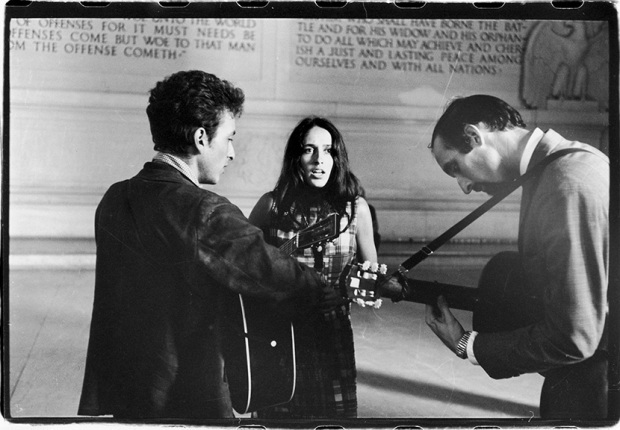 Grossman also managed Peter, Paul and Mary and his goal for 1963 was big hit, strong word of mouth for Dylan as a songwriter from established folk performers like Seeger and Baez, and a big push at the Newport Folk Festival, where Baez had made her name in 1959. Blowin’ helped both Grossman and Dylan achieve their goals. 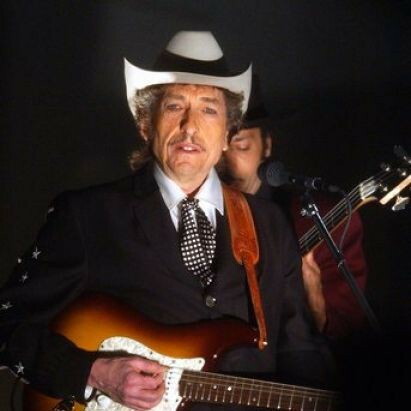 The song owes a musical debt to “No More Auction Block For Me”, and it was the subject of a false plagiarism claim that dogged Dylan for a few years, although his subsequent songwriting demonstrated that he had no need to rip off anyone. As I say, not one of my favourites, but I do like this live version from 1963 – one of Dylan’s earliest television appearances.